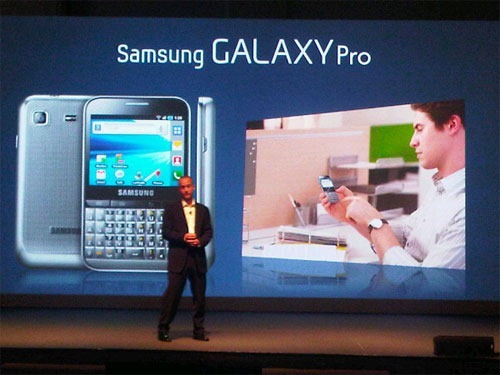 Samsung has officially announced its GALAXY Pro, a QWERTY Portrait phone, primarily aimed at businesses. This Android powered smartphone was launched at Samsung SEA Forum in Singapore. As mentioned above, Samsung’s integrated Social Hub Premium and the innovative dual-input interface control via a touch-screen and full QWERTY keyboard, the GALAXY Pro said to be the perfect business partner and social secretary for your Smart Business Life. The GALAXY Pro is equipped with the “Think Free” Office Document Editor, for MS Word, Excel and PowerPoint documents on-the-move. Samsung Social Hub Premium is the ideal solution that gives one-touch access to all of your emails, instant messages and social networking accounts. It simplifies the life of users who constantly juggle their work and personal communications, manage multiple social networks and receive high volumes of messages and emails through a single application. 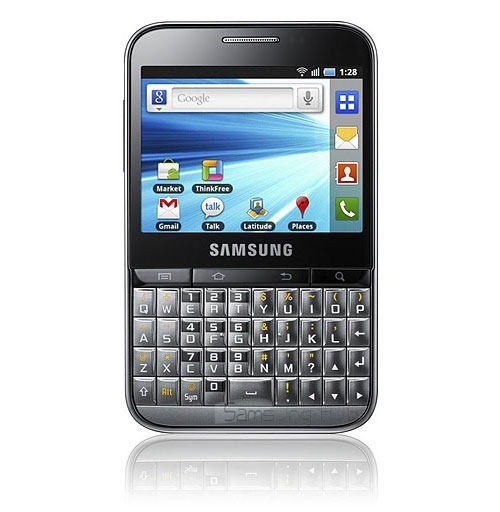 Powered by the Android™ 2.2 “Froyo” platform, Galaxy Pro gives you the power to stay on top of your work & social lives. It gives you access to over 150,000 apps on Android Market™, opening your mobile life to a world of new possibilities. Now you can download the latest games to keep you entertained on your commute, use maps and other location-based services so you reach your destination in time, while the news feeds keep you better informed than the competition. With the dual input interface, you are equipped to react, respond or reply in double-quick time. For intuitive ease-of-use, the touch-screen gives fingertip control. 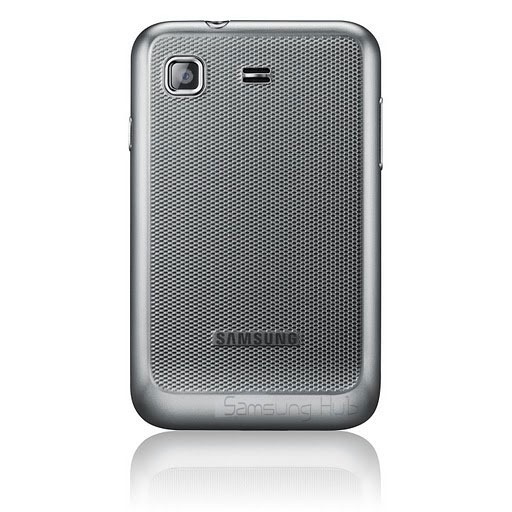 This smartphone is equipped with a 3.0 Megapixel camera for still image or video capture. View your pictures on the clear and bright 2.8” display as you upload them online. WiFi and Bluetooth support ensures you can stay constantly connected and ready to share. what its price in Pakistan??? An HTC Desire Z (also 800mhz, etc) is probably a better option. Around 48k.